Jimmy Kanaya in his Army uniform. Courtesy of Jimmie Kanaya. June 1945, Ft. Sam Houston, Texas. The Museum’s new special exhibit, From Barbed Wire to Battlefields: Japanese American Experiences in WWII, explores two important aspects of Japanese American life during the war: life within the internment or incarceration camps on the American Home Front, and the heroic contributions of Japanese American soldiers on European battlefields and in the Pacific Theater. There are ways to bring this content into the classroom, even if teachers and schools cannot visit the exhibit in person at the Museum. Some of the artifacts and stories in the physical exhibit have been digitized and are accessible through the From Barbed Wire to Battlefields exhibit website at http://barbedwiretobattlefields.org. A great way to supplement or enhance your school’s or state’s WWII curriculum is through the use of oral histories. Oral histories, such as those contained within the Voices from the Battlefield: Japanese Americans in Service section, are a compelling way to make history come alive for students. Not only do most people tend to connect with and remember personal stories, but oral histories help to make larger, more abstract topics like the policy of Japanese American internment more accessible to learners of all ages. 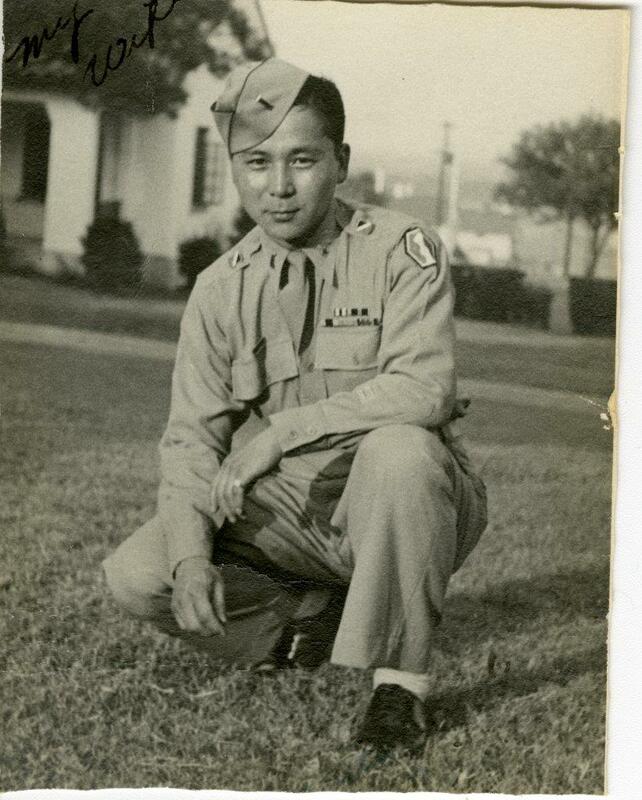 A case in point is the personal story of Jimmie Kanaya, who served as a medic for the all Japanese American 442nd Regimental Combat Team before he was captured and placed in German POW camps. Kanaya’s individual experiences, and those of his family, illustrate the emotional challenges and dilemmas that many people of Japanese descent faced in the United States after the surprise Japanese attack on Pearl Harbor. Kanaya, who was already in the Army when the Pearl Harbor attack took place, vividly recounted his experience of going on military leave to visit his family who were temporarily living in horse stalls at the Portland Stockyards Assembly Center in Oregon. Despite the fact that he was an enlisted soldier, the Military Police on duty at the Assembly Center would not let Kanaya back inside the facility to say goodbye to his parents or to help them move to the internment camp. Like other American soldiers of Japanese heritage during WWII, Kanaya felt the tension inherent in the complex choice to fight on behalf of the same country that had interned one’s family and neighbors, and the desire to serve in the military to prove one’s loyalty as an American citizen. Interviews with other members of the 442nd Regimental Combat Team like Daniel Inouye and George Sakato, and Japanese language translators who were in the Military Intelligence Service also reveal a variety of motivations behind volunteering to fight for America. Despite discriminatory treatment in the military and at home, many veterans shared Norman Ikari’s conviction that the United States was, at its core, still a country that believed “in such basic human principles [as] liberty, equal treatment [and] tolerance to the people that live here.” Over twenty Japanese American soldiers, including Inouye and Sakato, eventually received the Medal of Honor in 2000, over 55 years after their courageous actions and leadership during WWII. The 442nd Regimental Combat Team gained national fame and respect for their bravery, becoming the most decorated unit of its size and length of service in U.S. military history. Learn more about the courageous actions of WWII Japanese American veterans by visiting the Voices from the Battlefields section on the From Barbed Wire to Battlefields: Japanese American Experiences in WWII exhibit site. To hear the Museum’s complete oral history interviews with Jimmie Kanaya, George Sakato and Daniel Inouye, please visit The Digital Collections of The National WWII Museum website. My brother suggested I would possibly like this website. He was totally right. This publish truly made my day. You can not consider simply how much time I had spent for this info! Thanks!